These Motels (sleeps up to 5 persons) are right on the beach front so quiet with great scenic views. Bedding configuration: Queen size bed and three bunks in separate bedroom. Linen and towels provided for all beds. 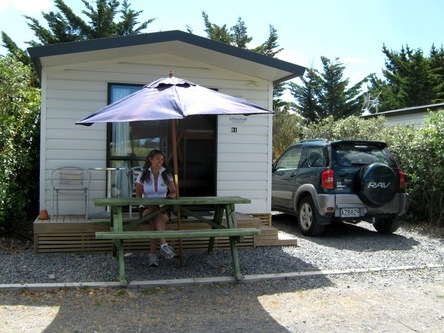 These units (sleeps up to 5 persons) are very close to the beach. Bedding configuration: Queen size bed and three bunks in separate bedroom. Bedding and towels provided. Stand alone sunny units in the park. No sea views but only a short stroll to the ocean. Check out our other units if you want Pure Beachfront / Views. Bedding configuration: Queen size bed, single above and one set of bunks. Bedding and towels provided. Stand alone sunny units in the park. No sea views but only a short stroll to the ocean. 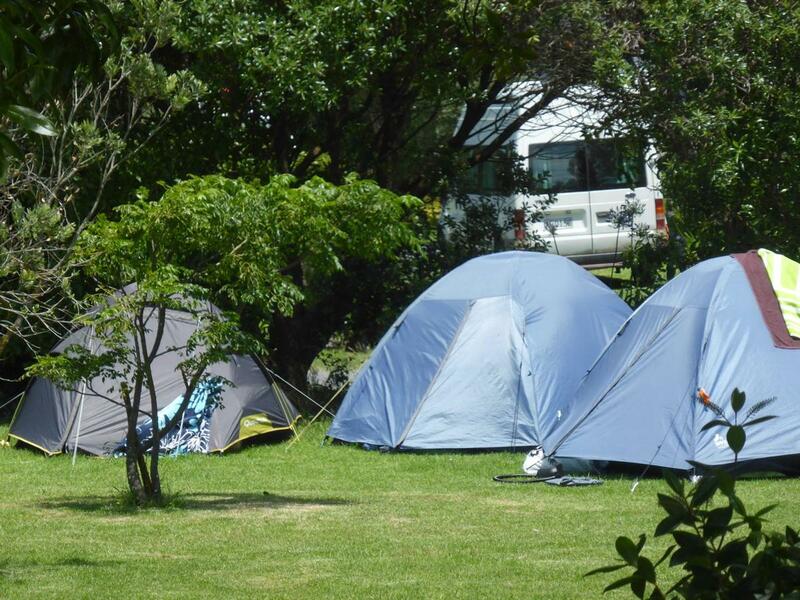 Share camp facilities, ablution block 25 meters from cabin. 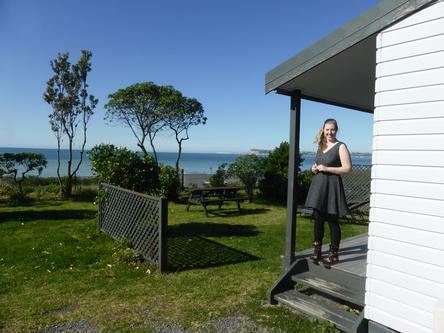 - Shared park kitchen, showers (coin operated) and toilet. Bedding configuration: Double bed and a set of bunks. Bedding on queen. Bedding and towels provided. 3 bedroom house ideal for sports teams or group bookings. 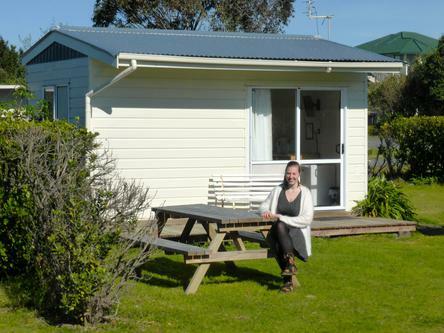 Sleeps up to 14 people, fully self contained with own kitchen, bathroom and separate toilet. TV lounge and dining area. No Sea Views. Some bedrooms might be locked for small groups. Bedding configuration: Bedroom 1: 4 bunk beds (bedding and towels provided) Bedroom 2: 8 bunk beds (bedding and towels provided) Bedroom 3: 2 singles (bedding and towels provided) Some bedrooms might be locked for small groups. 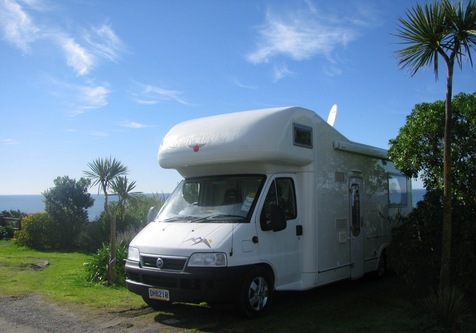 Beautiful sea views on all motorhome sites. We can also fit some very large vehicles onto our sites, easy access to dump stations. 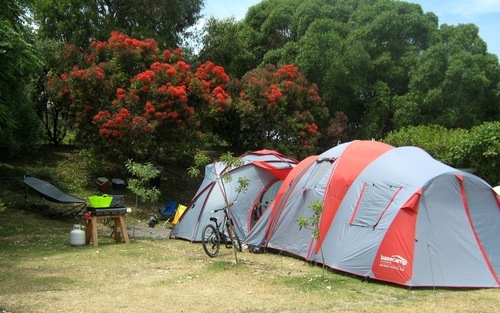 full use of camp kitchen (bring your own pots and pans), BBQ area, showers (coin operated: $1 for 5 minutes), toilets. Campervans and caravans requiring power must have a current electrical warrant of fitness and have a RCD (Residual Circuit Device) installed in the campervan / caravan or use a lead together with an in-line RCD . 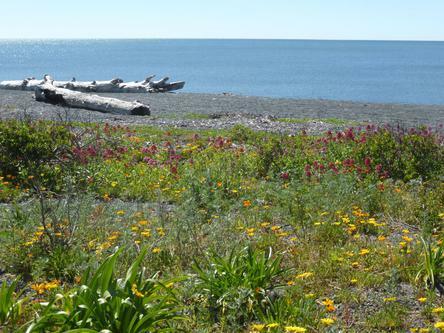 Unpowered sites for caravan and motorhomes with beautiful sea views. We can also fit some very large vehicles onto our sites, easy access to dump stations. full use of camp kitchen (bring your own pots and pans), BBQ area, showers (coin operated: $1 for 5 minutes), toilets. Plenty of powered sites around the property to offer you privacy and hedged sites for that extra privacy and large family or friends gathering. We also can fit some very large vehicles onto our sites, easy access to dump stations. full use of camp kitchen (bring your own pots and pans), BBQ area, showers (coin operated: $1 for 5 minutes), toilets. Campervans and caravans requiring power must have a current electrical warrant of fitness. Tent sites requiring power must have the appropriate caravan certified electrical plug and lead together with an inline RCD (Residual Circuit Device). NB: Guests are required to bring their own leads. Powered tent sites, plenty of room for large and small tents. Sheltered area's around the park, full use of camp kitchen (bring your own pots and pans), BBQ area, showers (coin operated: $1 for 5 minutes), toilets. full use of camp kitchen (bring your own pots and pans), BBQ area, showers (coin operated: $1 for 5 minutes), toilets. Non-powered tent sites, plenty of room for large and small tents. Sheltered area's around the park, full use of camp kitchen (bring your own pots and pans), BBQ area, showers (coin operated: $1 for 5 minutes), toilets. 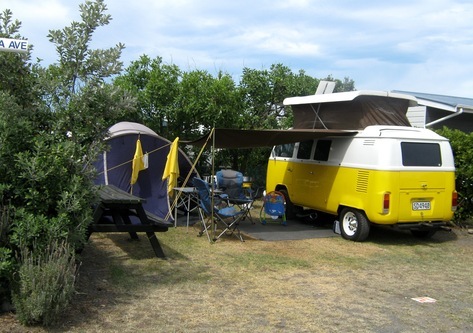 Napier Beach Kiwi Holiday Park & Motels is right on the Beach. Motor Home Site numbers 54 to 63 are Ocean fronted. 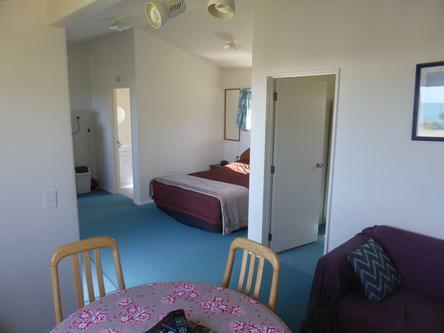 Our Motel units (numbers 2 – 5) are also right at the Beach. The Self Contained units (numbers 6 – 9) all have sea view. All these are located on the elevated sea-bank. click here for more information about our park map.